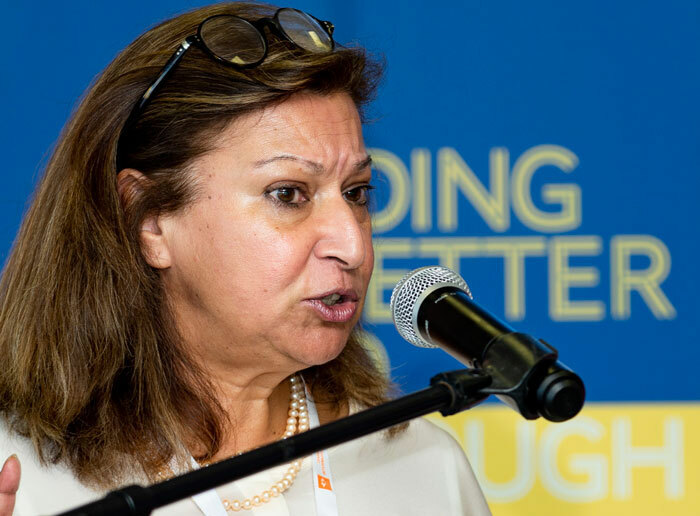 Prof Parekh said she had a concern with one of the conditions that are attached to the SARChI (the South African Research Chairs Initiative) chairpersonship, that candidates be freed from teaching. She argued that by taking top researchers such as the SARChI chairs out of the teaching equation, “we run the risk of side-lining them.” There was another enormous risk involved. “We afford so much prestige to research that, as a consequence, a lot of high-end academics do not teach. As a result, we’ve overwhelmed our young lecturers and shot ourselves in the foot.” She said this as she cautioned against creating more problems than solutions, and warning higher education leadership to think more carefully about their approach to developing early career researchers. “We afford so much prestige to research that as a consequence, a lot of high-end academics do not teach. As a result, we’ve overwhelmed our young lecturers with enormous workloads and shot ourselves in the foot,” Prof Parekh said, cautioning higher education leadership against creating more problems than solutions for the sector. Asked whether the teaching/research tension could not be addressed through better differentiation in the system, Prof Parekh responded that even the differentiated model was problematic. “Whether an institution is a teaching or research-intensive university, each does both. We cannot place so much emphasis on research that it undermines the other leg in our core functions.” Citing the National University of Singapore that had differential pathways for teaching and research, Prof Parekh said “in South Africa we do not have the luxury to separate those pathways. To develop research we need a critical mass of teachers. Now we’ve created a situation where in the teaching pathway, the highest that staff can ascend to is associate professorship. They do not make it to professorship at all. As a result some youngsters are beginning to say they might as well choose the research route.” She therefore saw the combined track as being the most appropriate option for South Africa’s higher education system. “Could the teaching/research tension not be addressed through differentiation in the system?” Prof Habib asked. While Prof Parekh’s words provoked considerable debate, especially with Prof Adam Habib, Vice-Chancellor at the University of the Witwatersrand, they also were warmly received, as evident in the comments made by delegates from the University of Pretoria, University of Cape Town, Sol Plaatje University, Stellenbosch University, the University of the Witwatersrand and at least one fellow from the ACU. 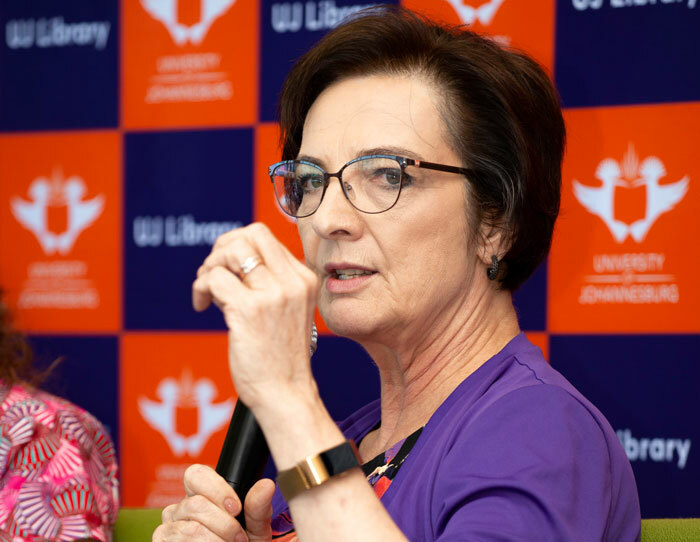 “At UP, we address both teaching and research in our staff development programmes,” Professor Stephanie Burton, Vice- Principal: Research and Postgraduate Studies at the University of Pretoria said. 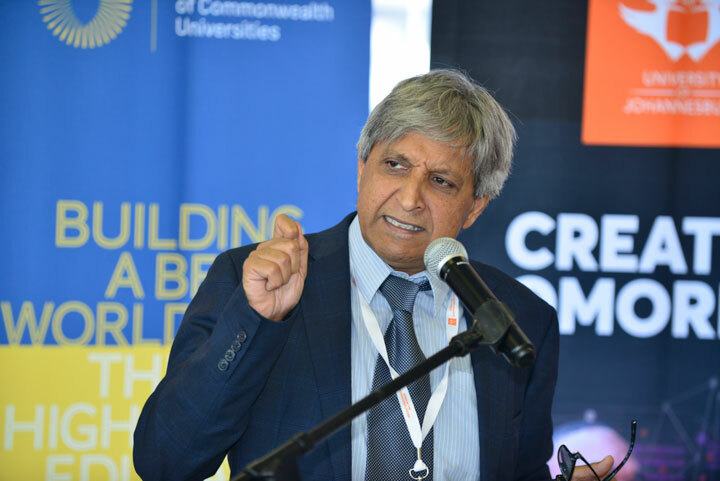 In addition to ringing the caution above in the context of ‘’Reflections on Current Interventions in South Africa,’’ Dr Parekh also showcased UJ’s journey through the development of academics from 2005 when the merger of the Rand Afrikaans University, a technikon and distance campuses of Vista University gave birth to the University of Johannesburg. The conference also heard of academic development schemes being run at Stellenbosch University’s African Doctoral Academy; the University of Cape Town’s Researcher Development Academy and the University of Pretoria’s African Science Leadership Programme.